British Basketball has hit out at the decision not to award the sport additional funds as Great Britain's women attempt to qualify for Tokyo 2020. 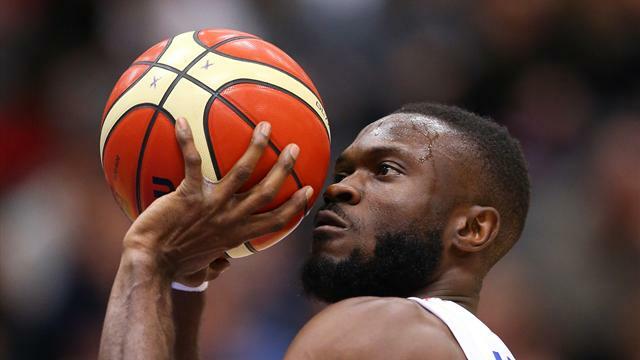 The £3m UK Sport's Aspiration Fund was launched to hand unfunded Olympic and Paralympic sports money to help them qualify for Tokyo 2020, but it was announced British Basketball would receive no investment from the UK Sport scheme. Beneficiaries of the fund included skateboarding, surfing, softball and wheelchair rugby, but both handball and basketball were snubbed by the investment package. Great Britain's women breezed through qualification to EuroBasket 2019 and are currently ranked 25th in the world, but UK Sport's Aspiration Fund deemed 'the level of improvement required to qualify was significant and they felt it was unlikely that this could be achieved'.
" Naturally we are disappointed not to receive this additional funding to support our successful GB Women's basketball team in their bid to qualify for Tokyo 2020 and in their ambitions to develop basketball at community level." "However, we remain optimistic about our chances of a successful European Championships. "We are looking forward to our follow-up meeting with UK Sport to agree additional support from the remaining funds, and we welcome the news that our qualification potential will be reappraised with the opportunity for more support after the European Championships. "We believe that basketball changes lives and enhances communities, and we know from our partners in England, Scotland and Wales just how much basketball is growing in popularity, and what it means to people of all ages.
" We will continue to work together to strengthen our sport's financial position and to strengthen our ability to perform at the highest level." British Basketball did receive assurances from UK Sport that they would have access to money for the women's team to attend qualification games via a £118,496 pot for sports that were unsuccessful in accessing the main fund. The BBF were also buoyed by a promise from UK Sport that they would reappraise the qualification potential of the women's team should they achieve qualification to the European Championships in June 2019.